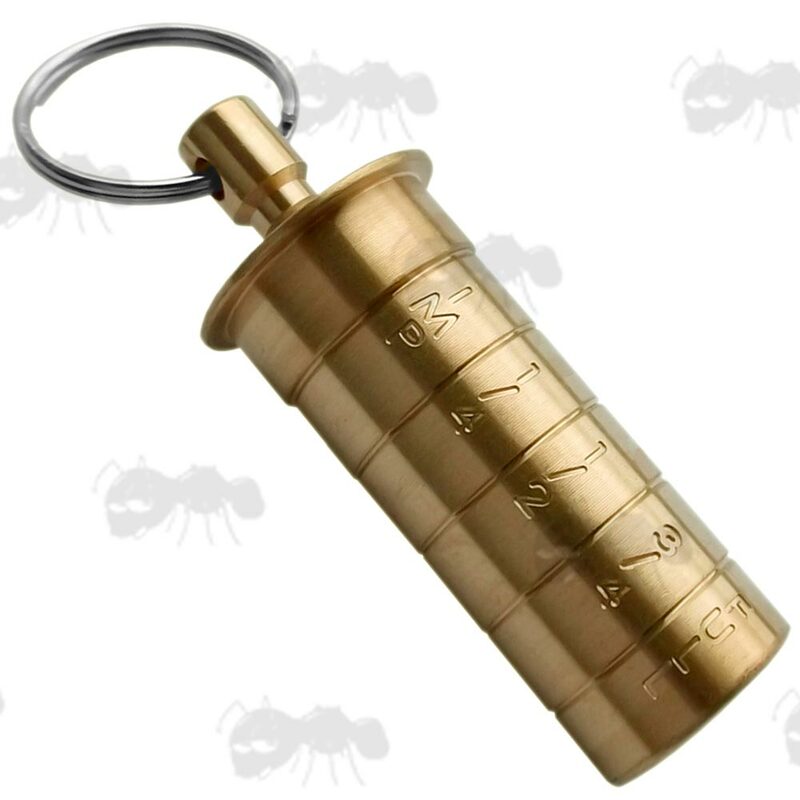 Bisley solid brass shotgun gauge. Also available ~ Choke gauge and cartridge pouch and Choke tube keys. Choke gauge with engraved British gradients. 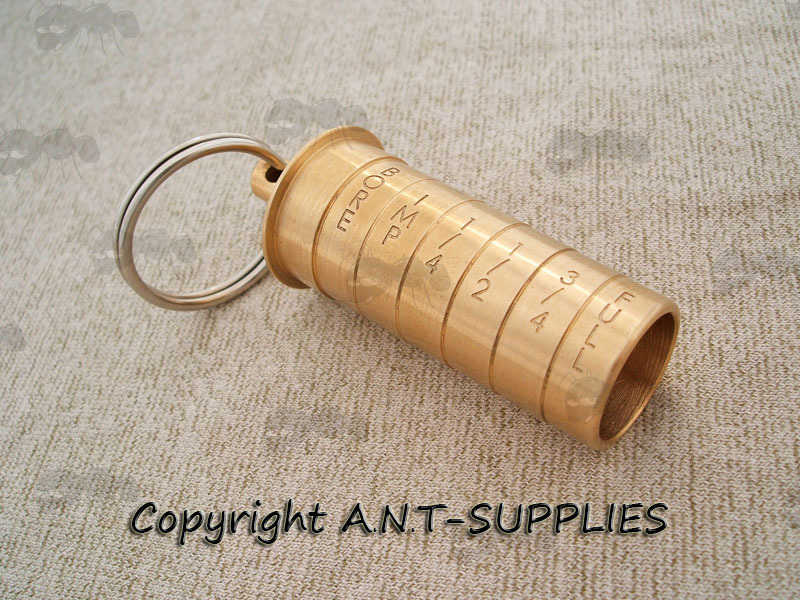 Brass with stainless steel keyring. 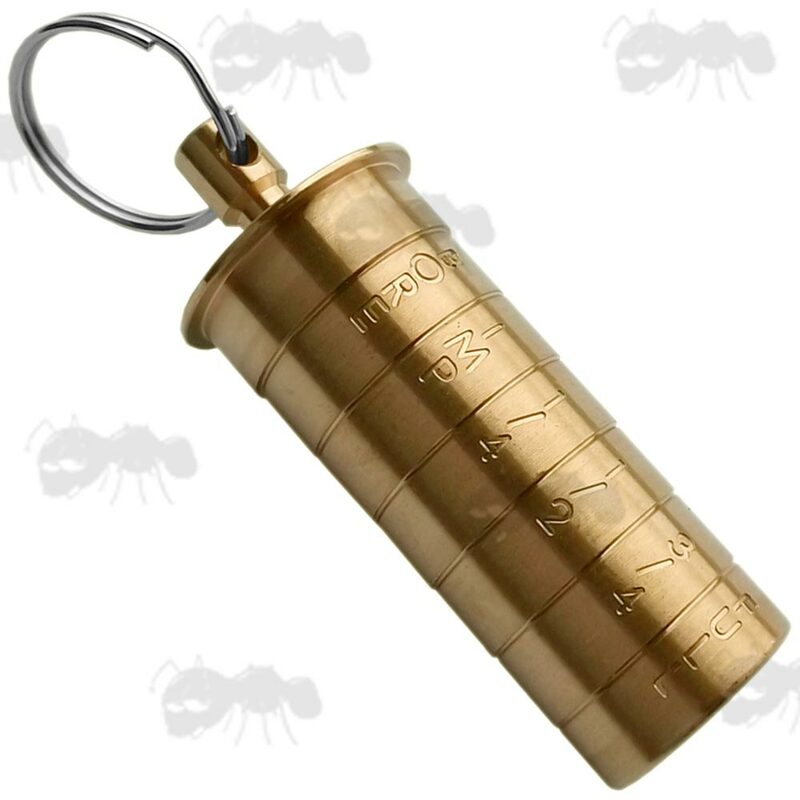 For quick and accurate measurement of 12 or 20 bore fitted shotgun chokes. BORE (OPEN) ~ True cylinder ~ 0.00" ~ Cylinder (on 12g gauge only). It is highly dangerous to use more than ½ choke when using steel shot. True Cylinder 20" 26" 32" 38" 44" 51" 58"
Imperial Cylinder 15" 20" 26" 32" 38" 44" 51"
1/4 Choke 13" 18" 23" 29" 35" 41" 48"
1/2 Choke 12" 16" 21" 26" 32" 38" 45"
3/4 Choke 10" 14" 18" 23" 29" 35" 42"
Full Choke 9" 12" 16" 21" 27" 33" 40"
Simply push the gauge into the muzzle of the gun and when the segment fits the bore perfectly, simply read from the gauge for the amount of choke. This high quality shooting accessory is essential when buying a fixed choke pre-owned gun, as the choke stamps may not always correspond to the amount of choke in the bore. Ie. sometimes choke is bored out by a gun smith and then not always re-stamped with the new choke. As for multi-choke guns, the choke stamps can wear off in time and it can then be confusing as to which choke tube if fitted. If you see this message, it means that your browser doesn't support iframes or they are disabled. You can access the information shown in this frame here: Shotgun Accessories Product Scroller.